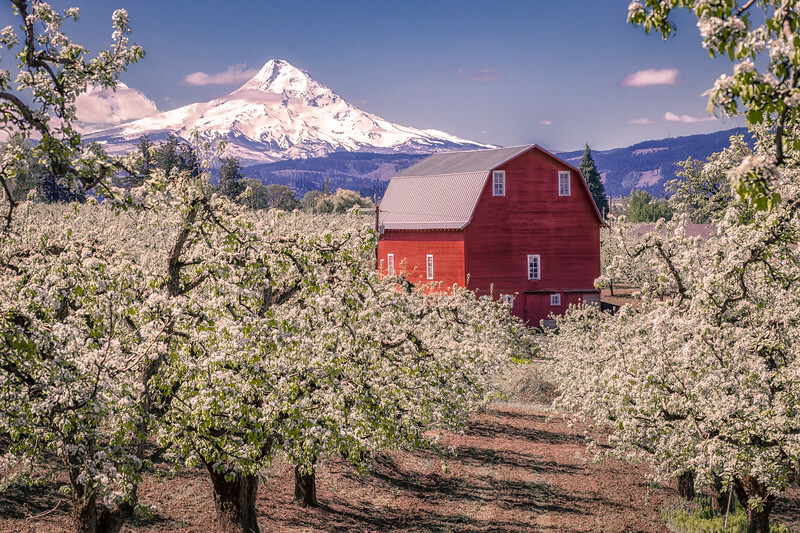 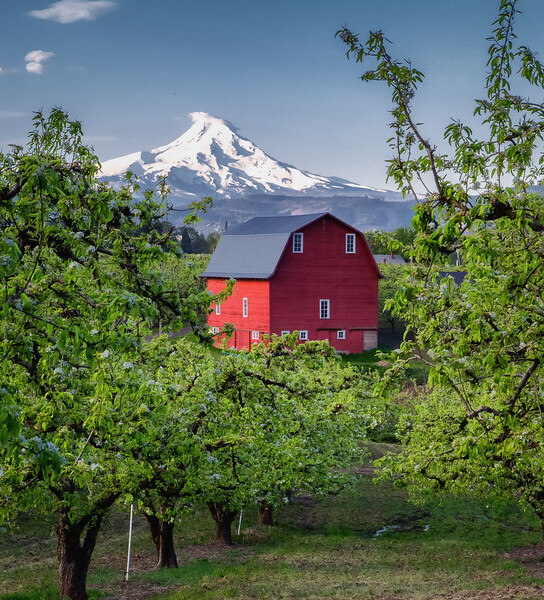 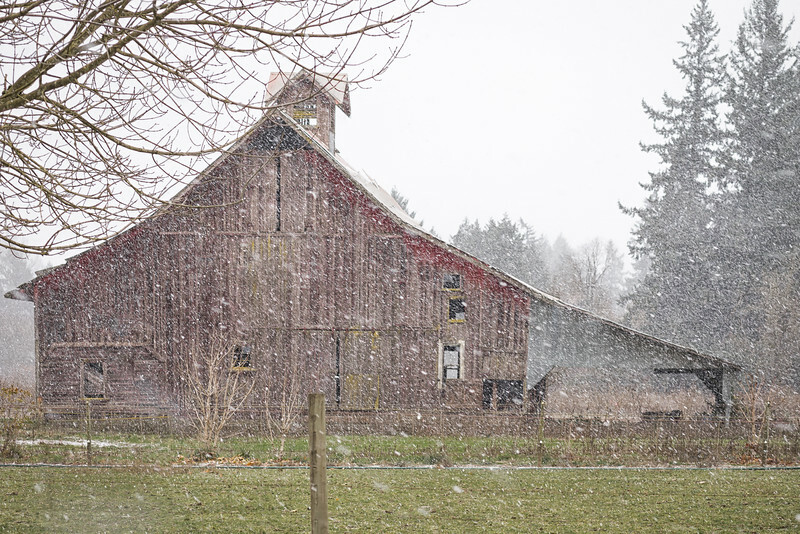 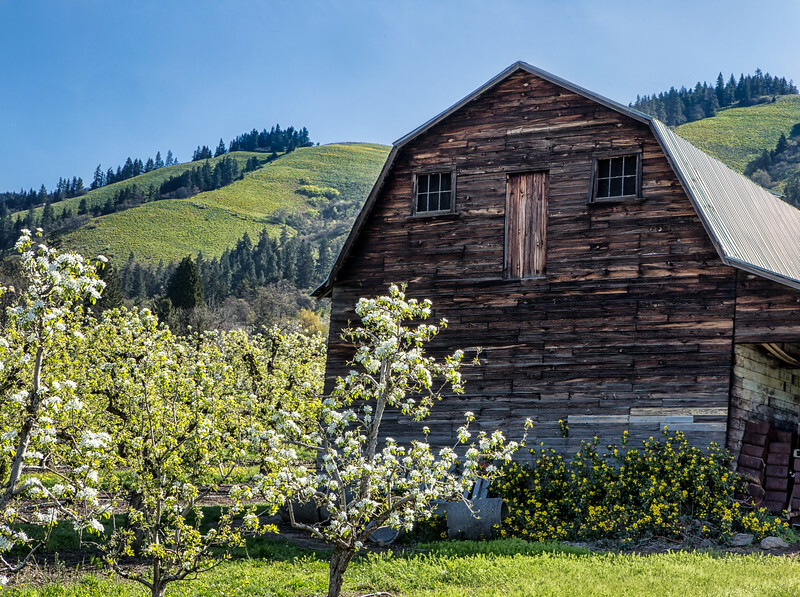 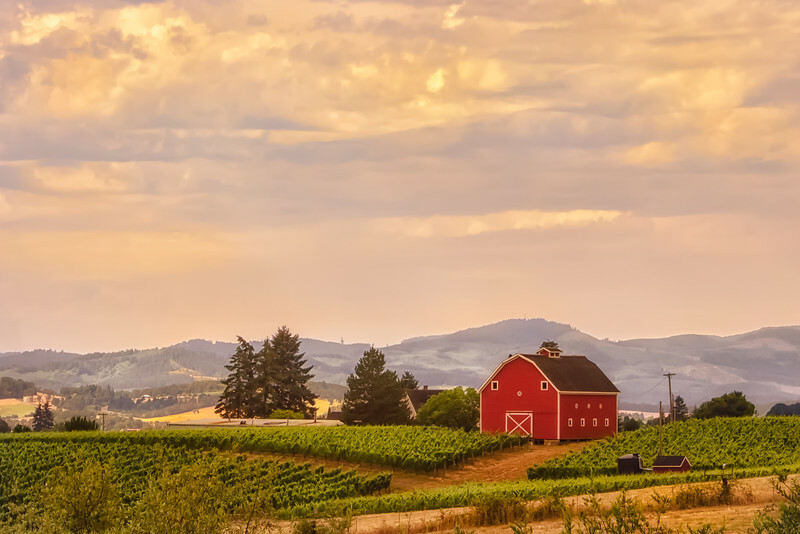 A beautiful old red barn nestled in a blossoming pear orchard in Hood River with a snow covered Mount Hood keeping watch. 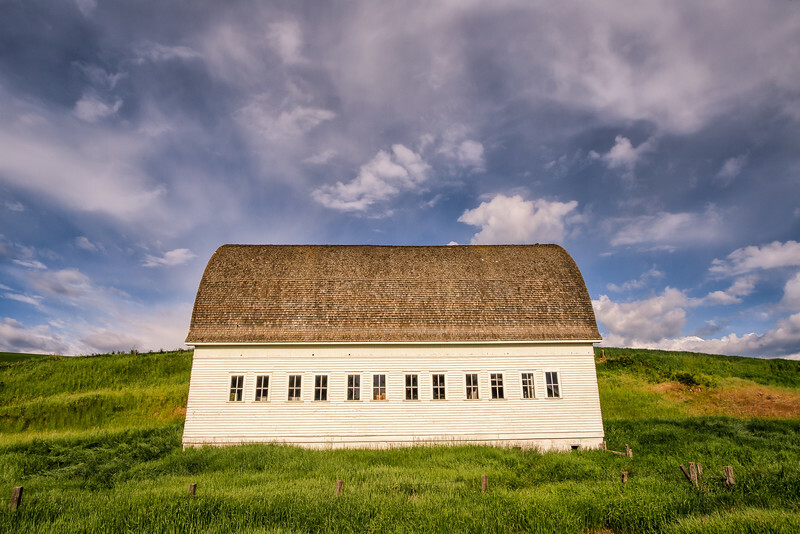 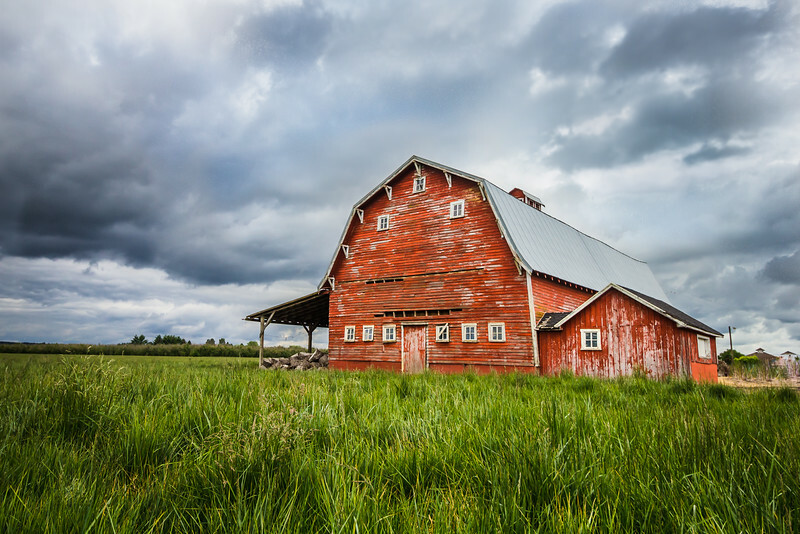 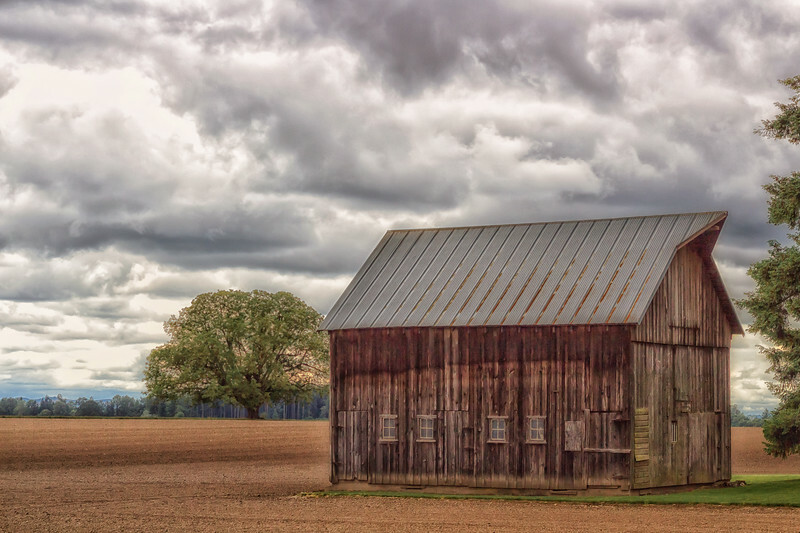 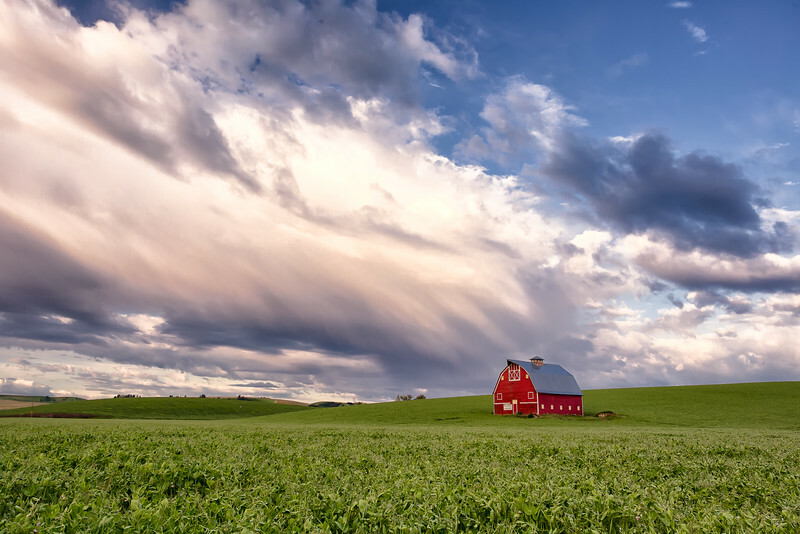 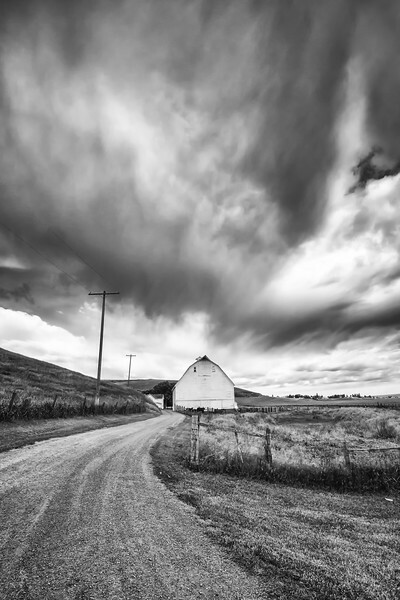 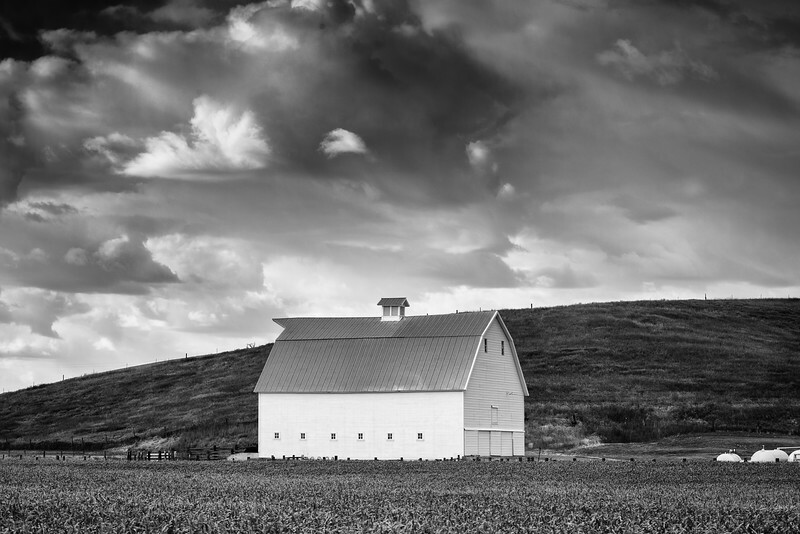 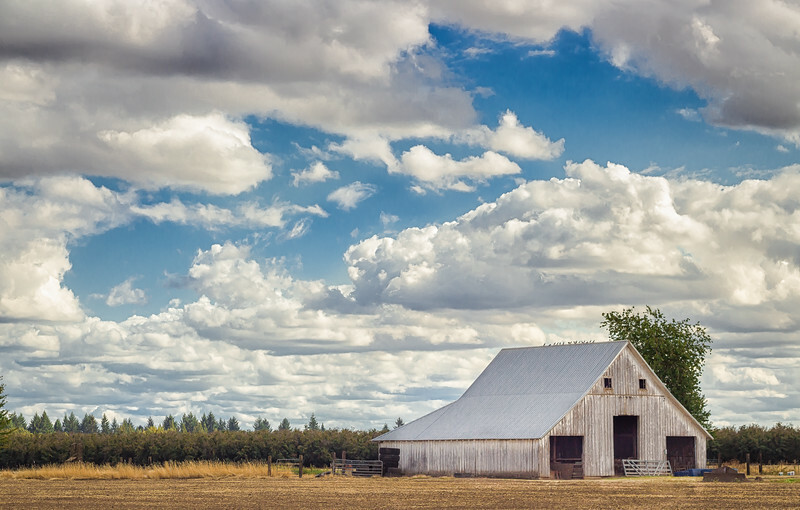 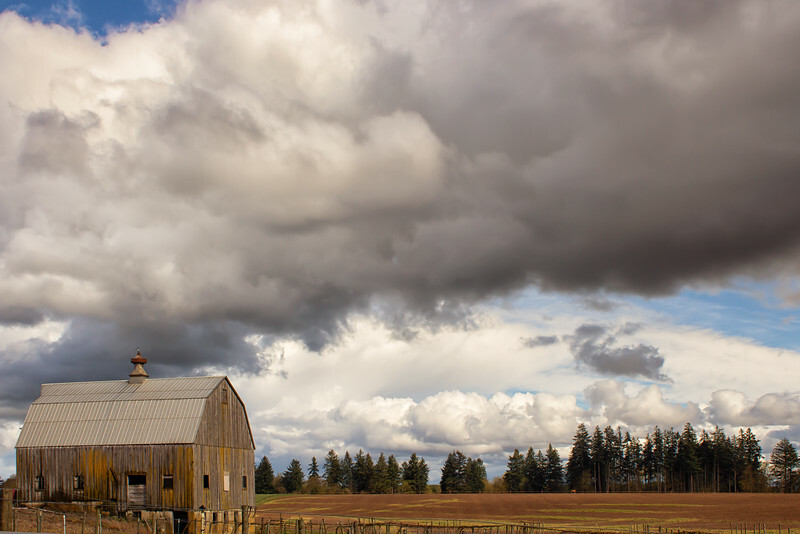 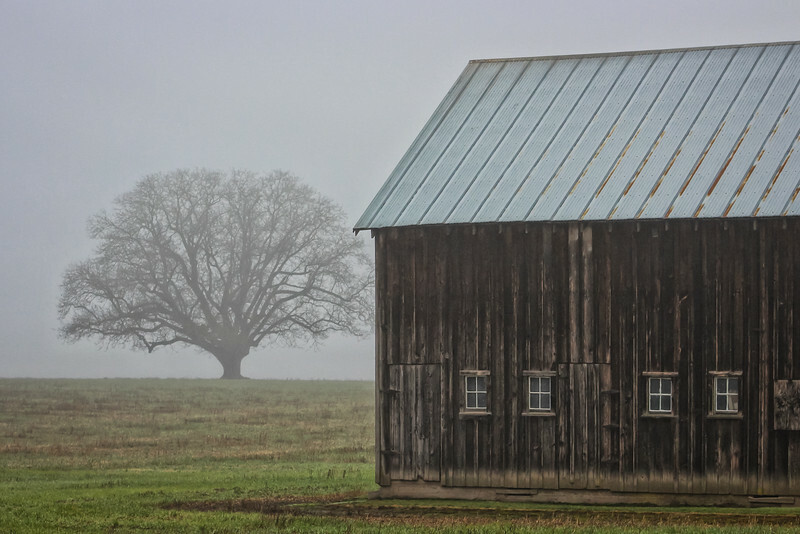 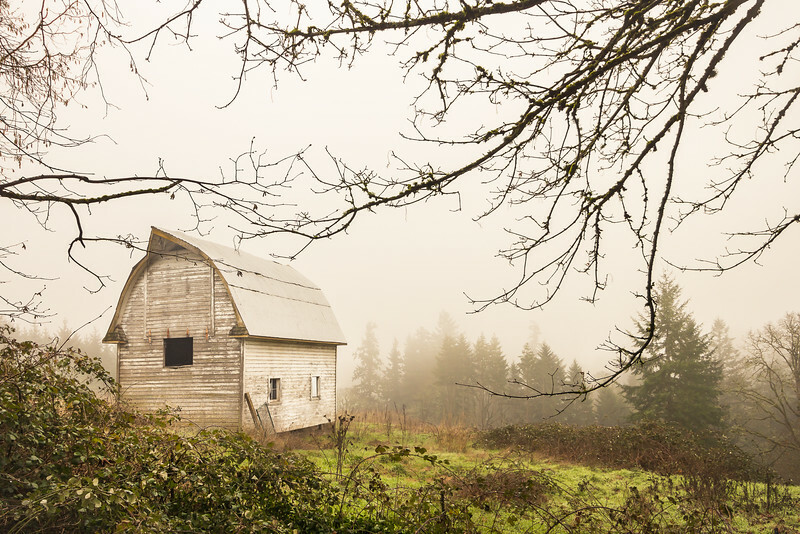 I drove out to the country as a storm was brewing and captured the most ominous cloud formation hovering over this vintage barn. 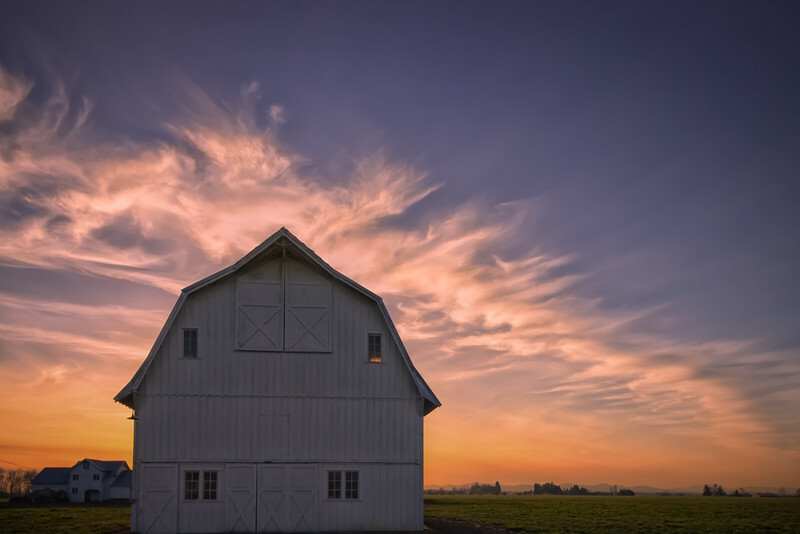 We'll leave a light on for you. 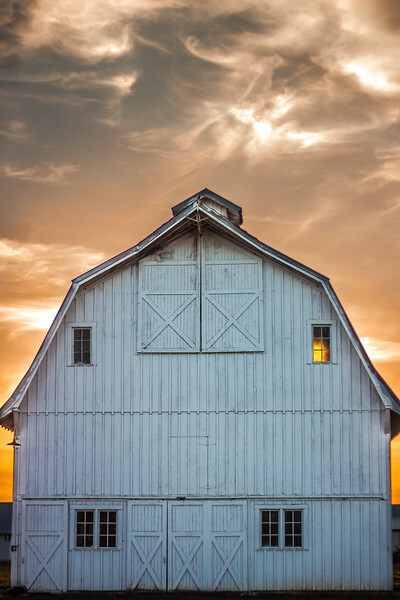 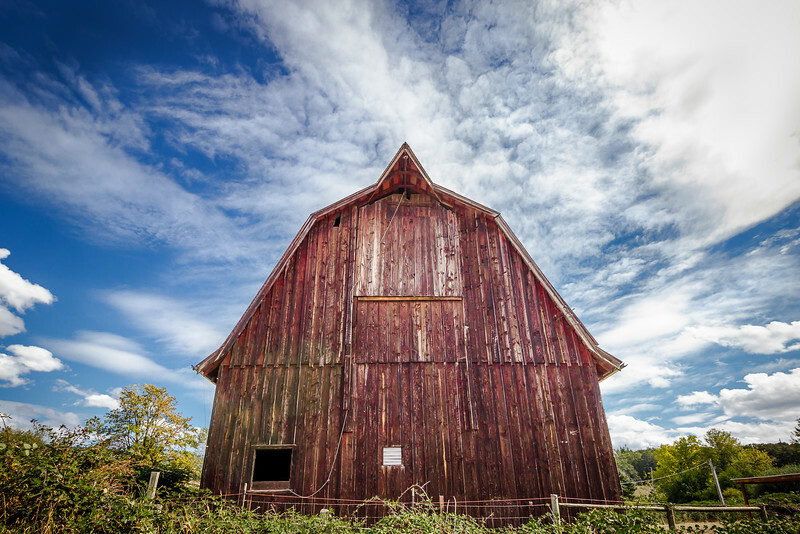 Old barn out in the country with the sun setting behind, illuminating one welcoming window. 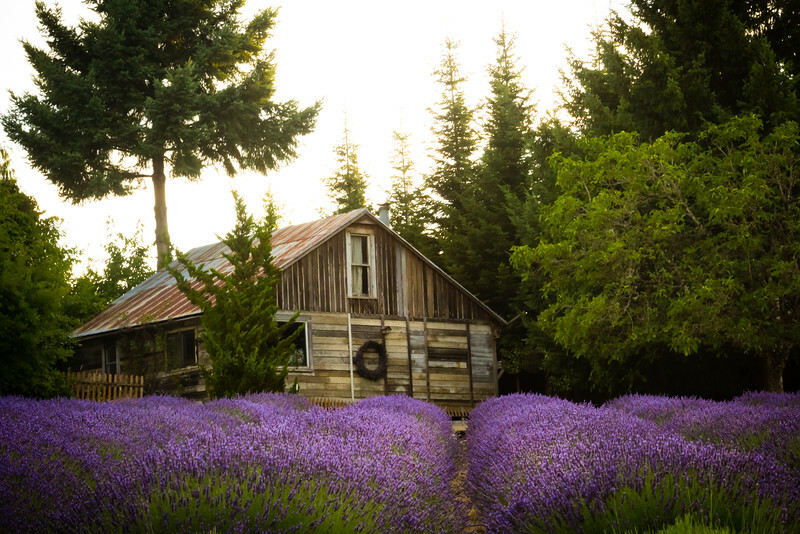 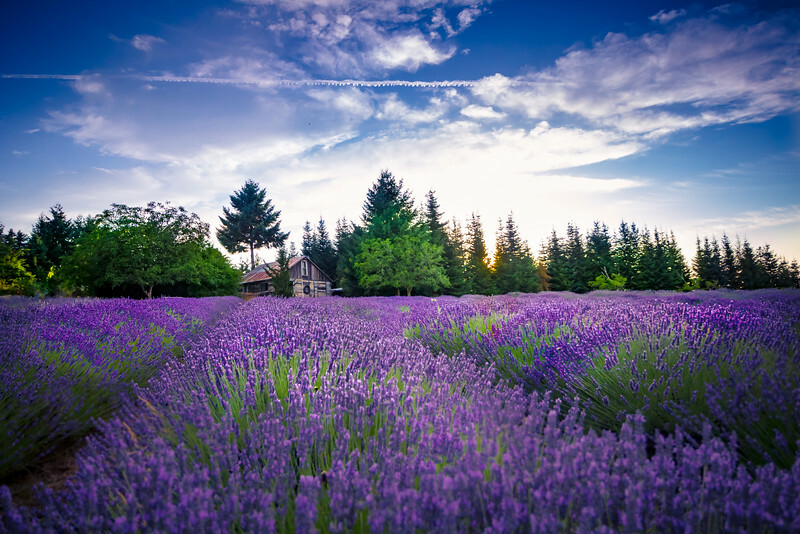 This photo was the First Place Winner of the 2015 Oregon Lavender Association's statewide contest. 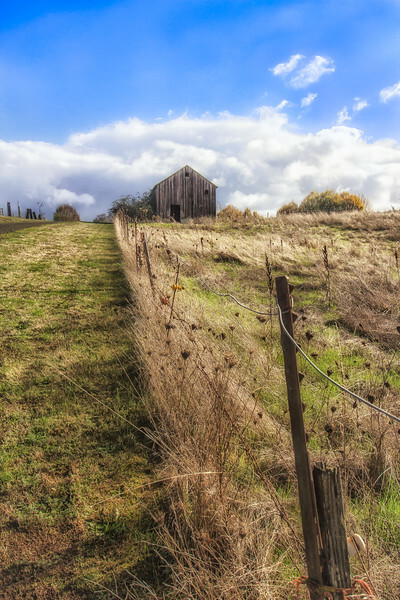 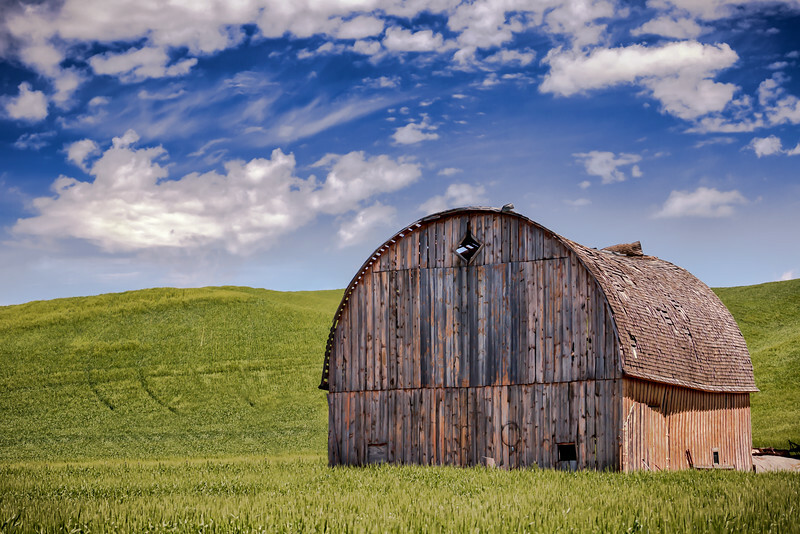 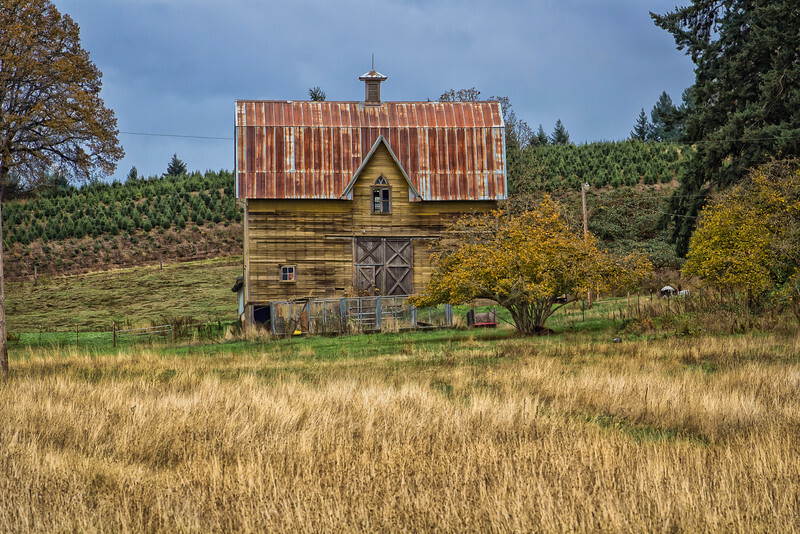 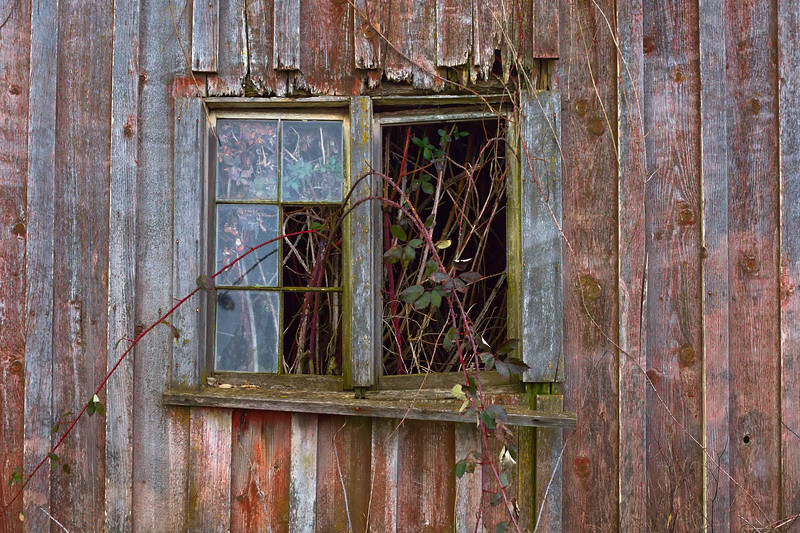 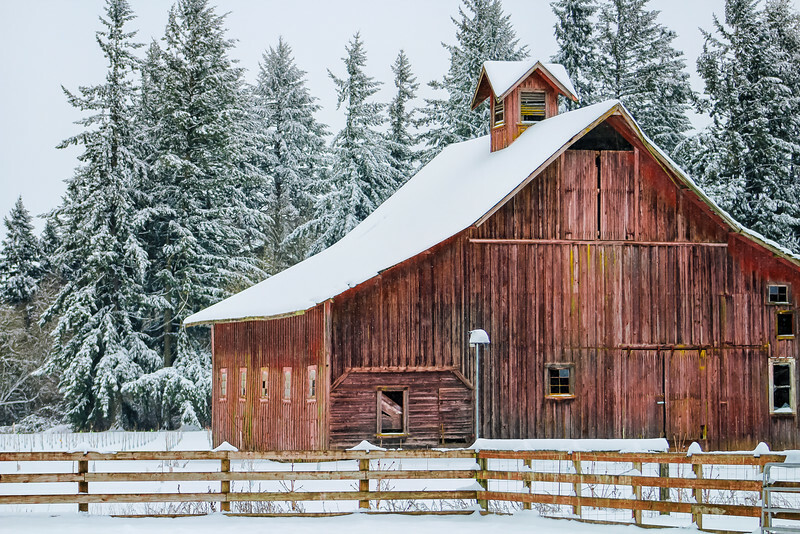 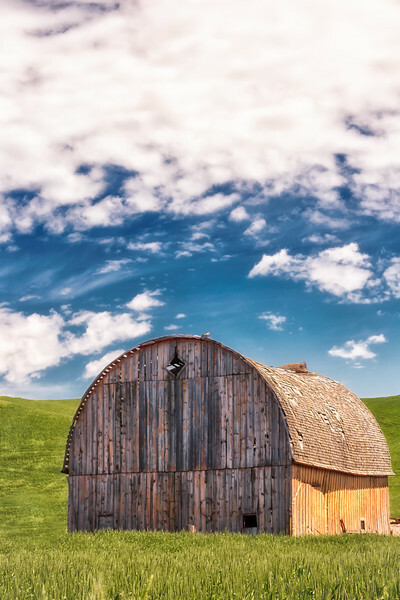 Old barn of the Palouse detail. 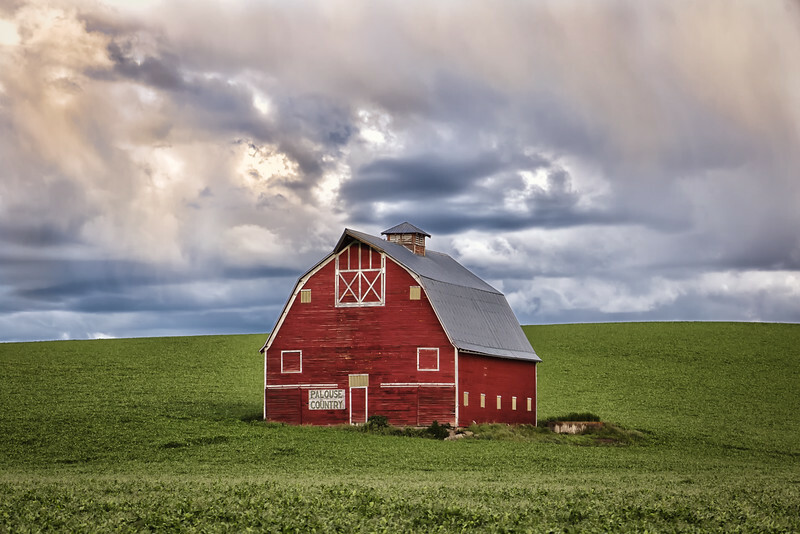 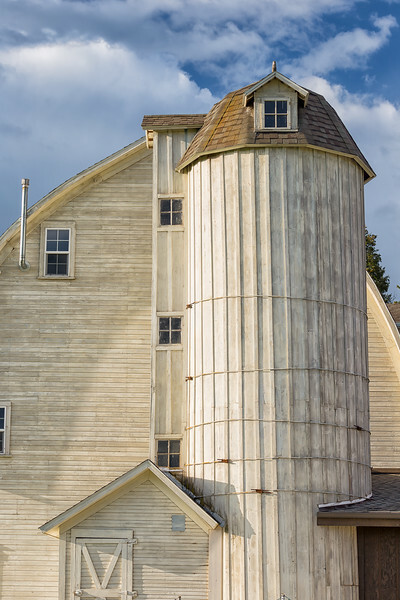 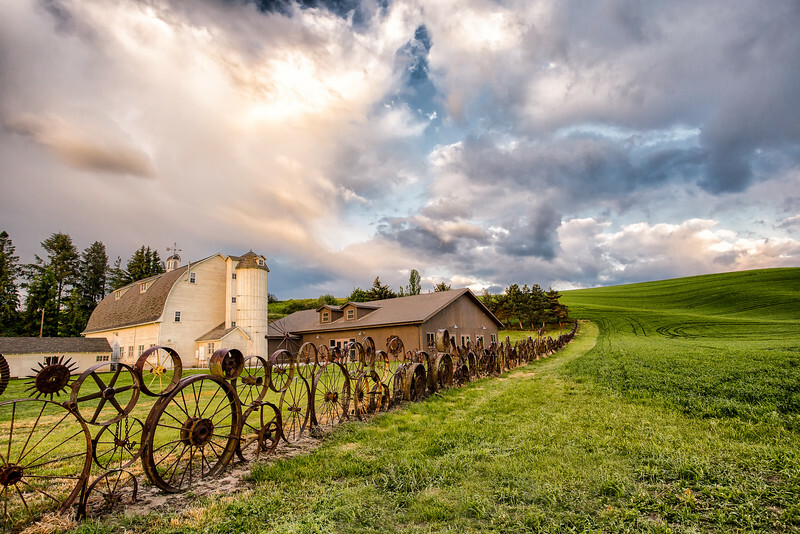 Detail of the Dahmen wheel barn as the sun came up in the Palouse region of Eastern Washington. 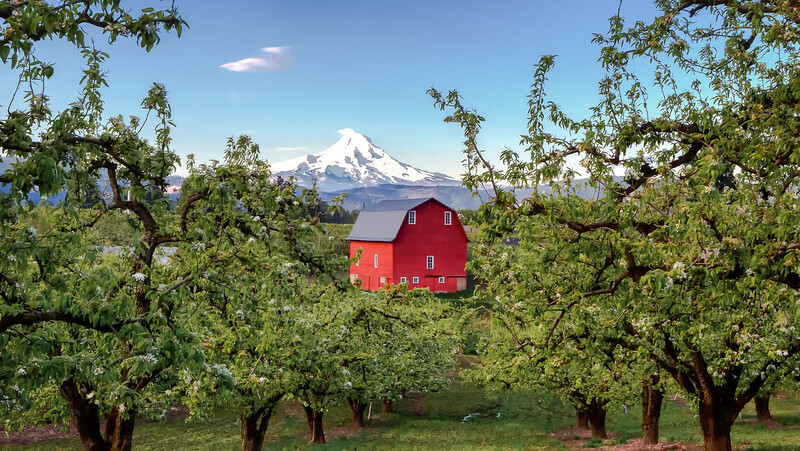 Breakfast at the red red barn cafe. 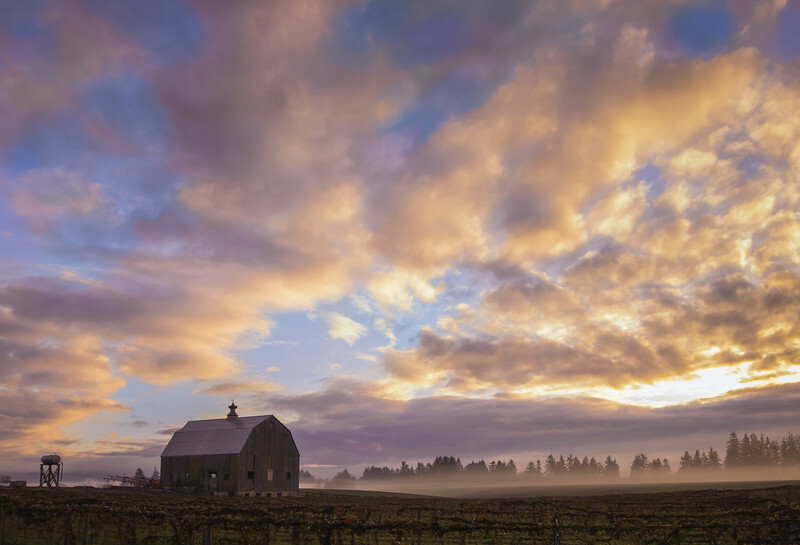 Just after sunrise these two horses were eating breakfast in the Palouse. 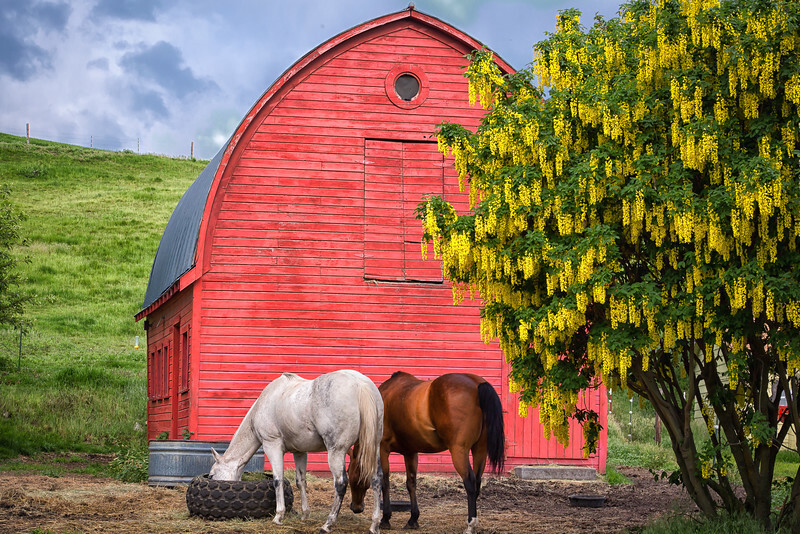 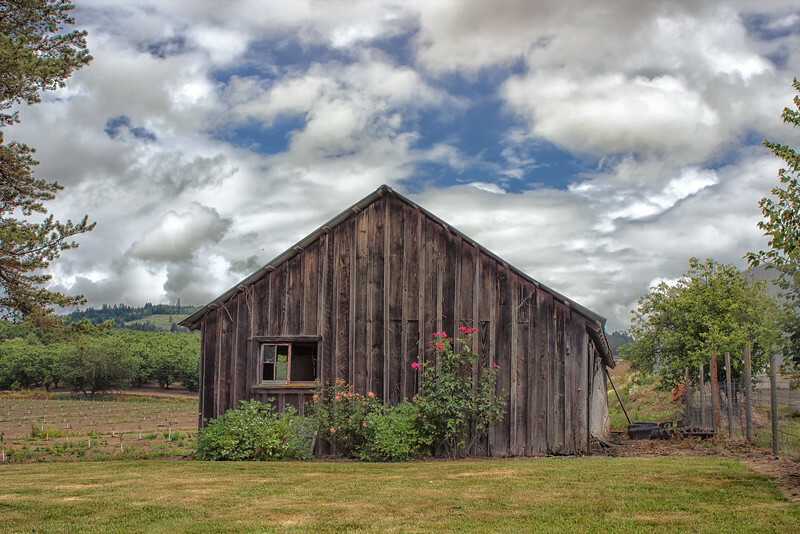 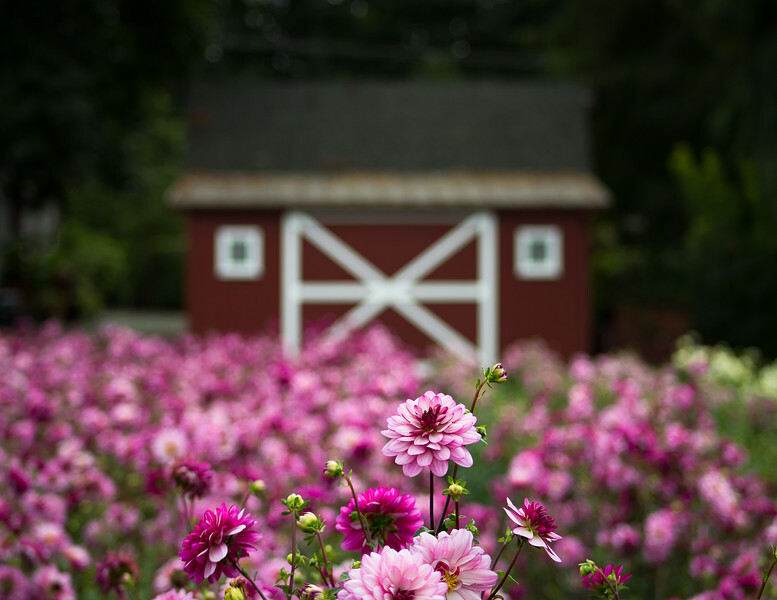 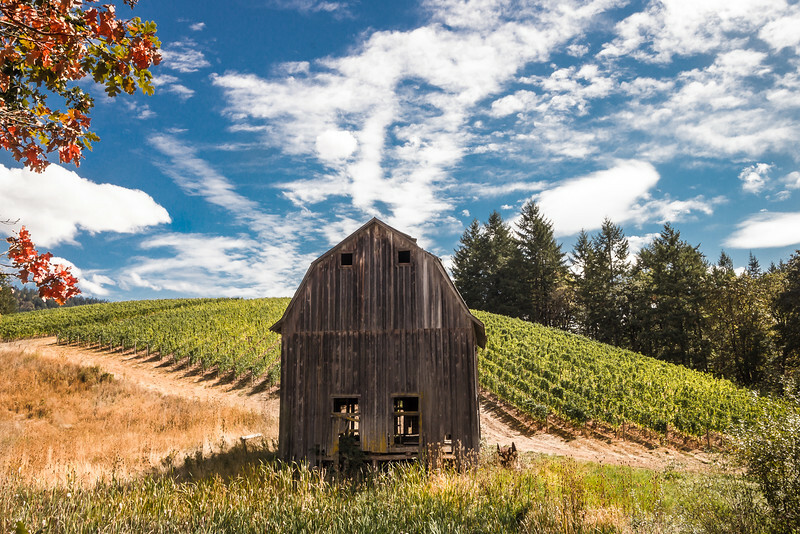 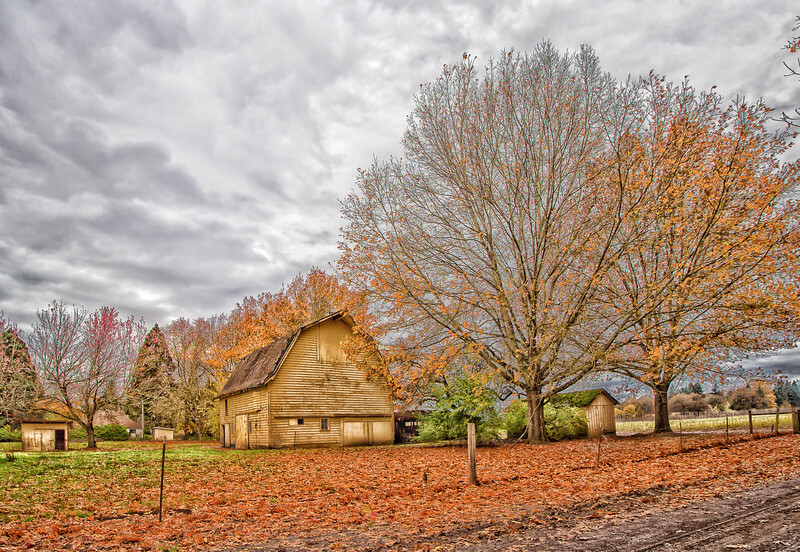 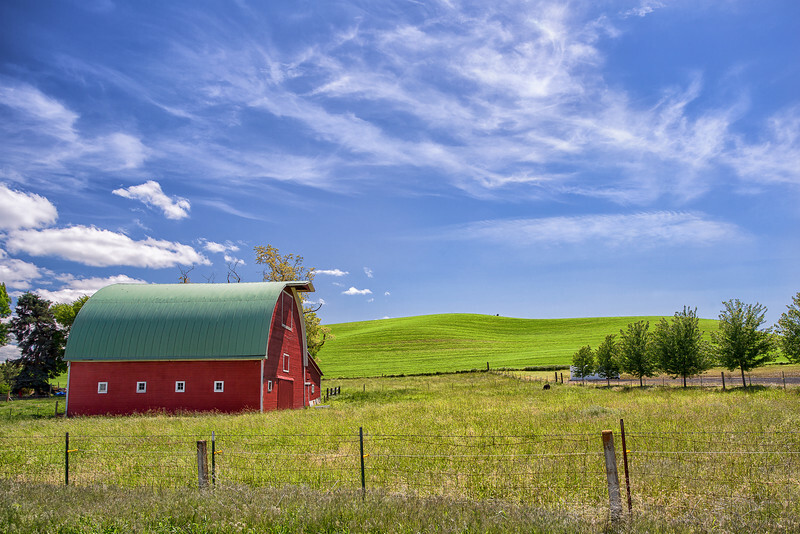 The bright red of the barn and the brilliant yellow flowers on the tree made for a colorful morning composition. 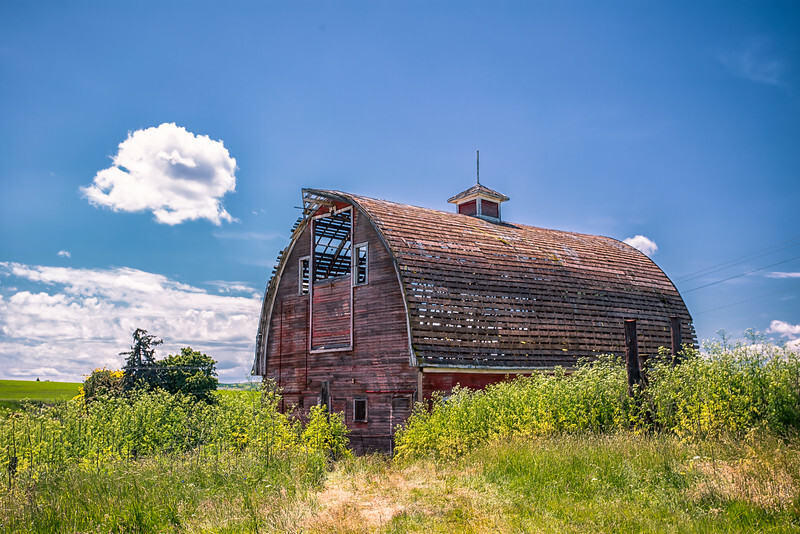 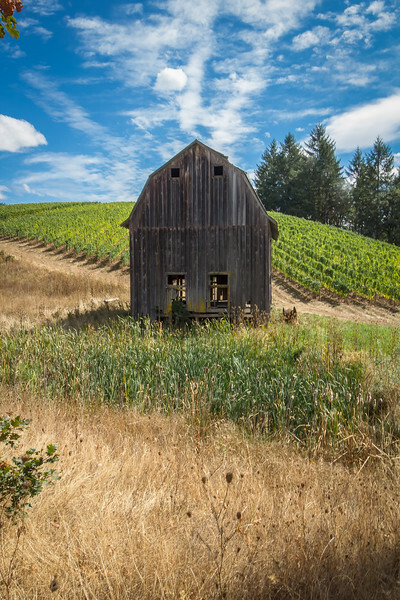 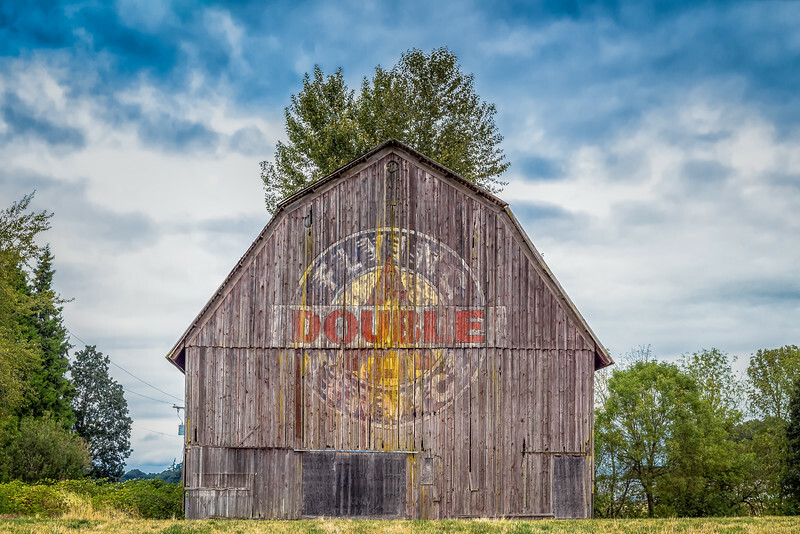 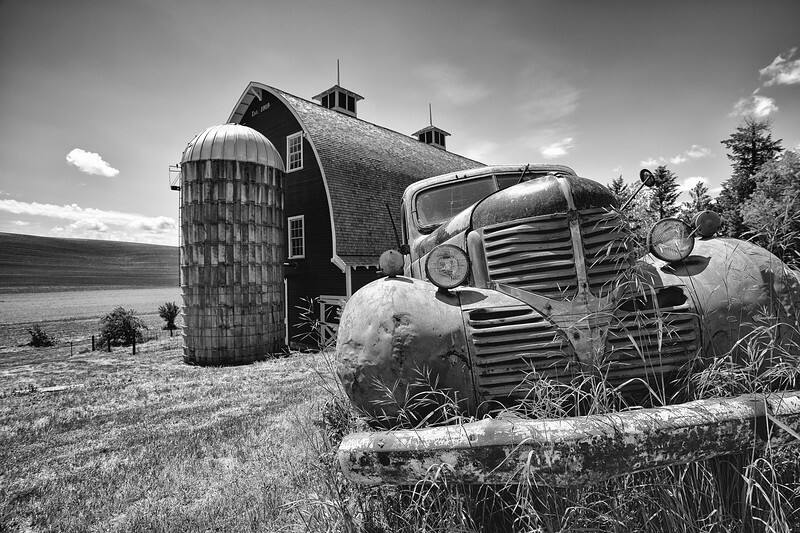 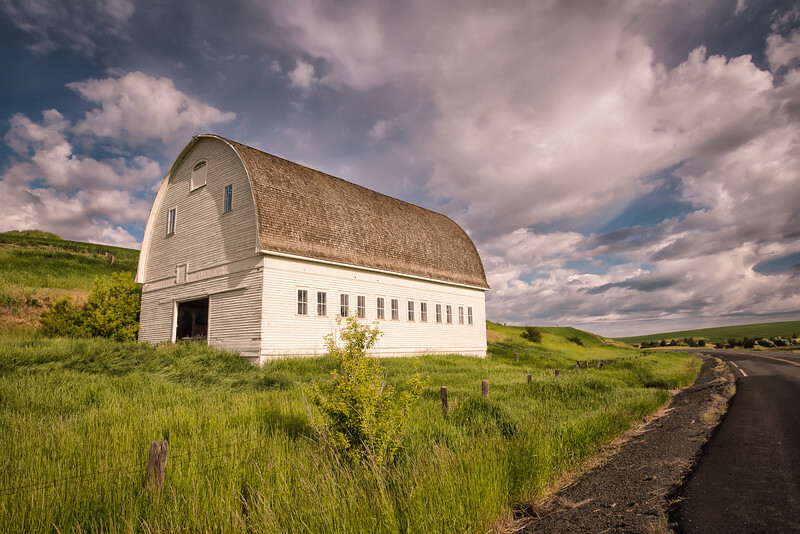 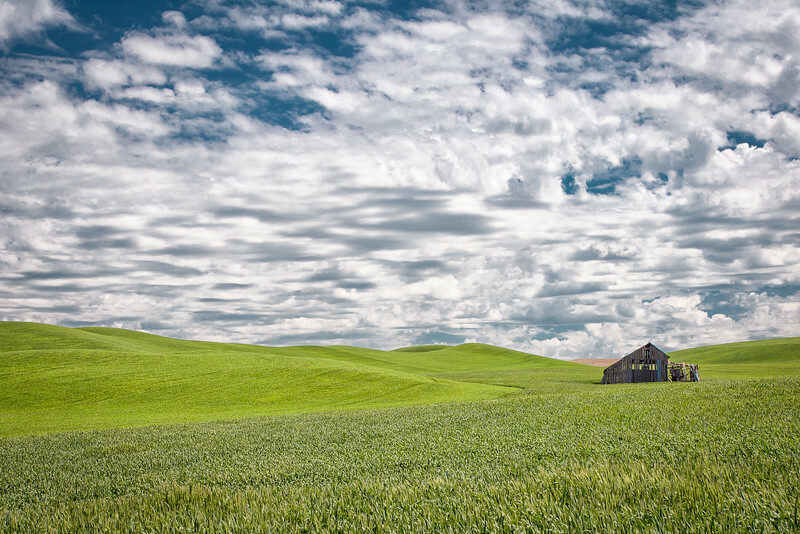 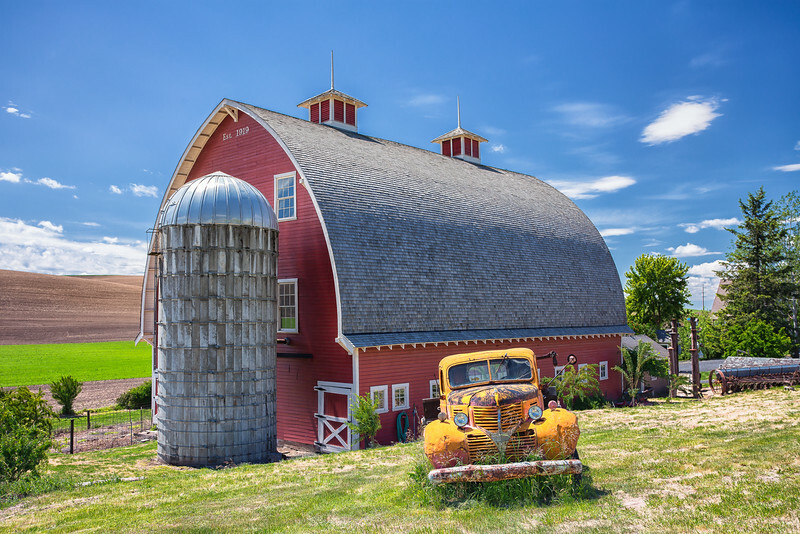 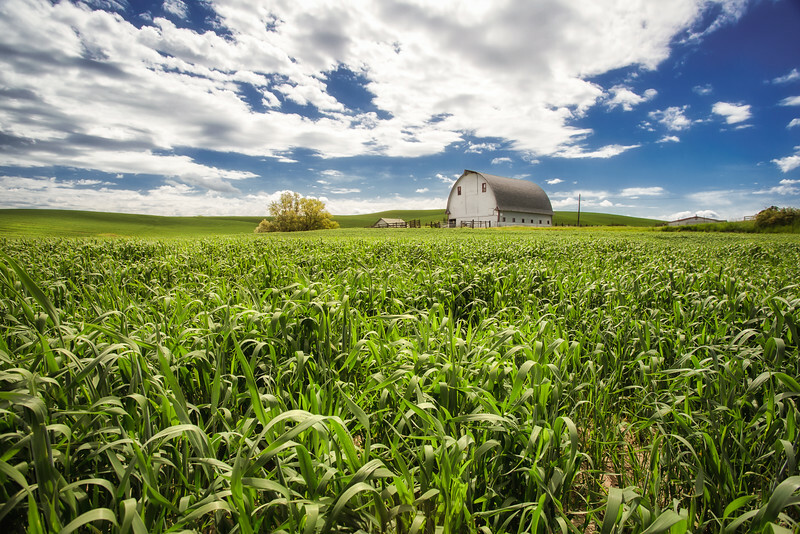 An old truck is permanently parked in front of a 1919 old barn in the Palouse countryside of Eastern Washington. 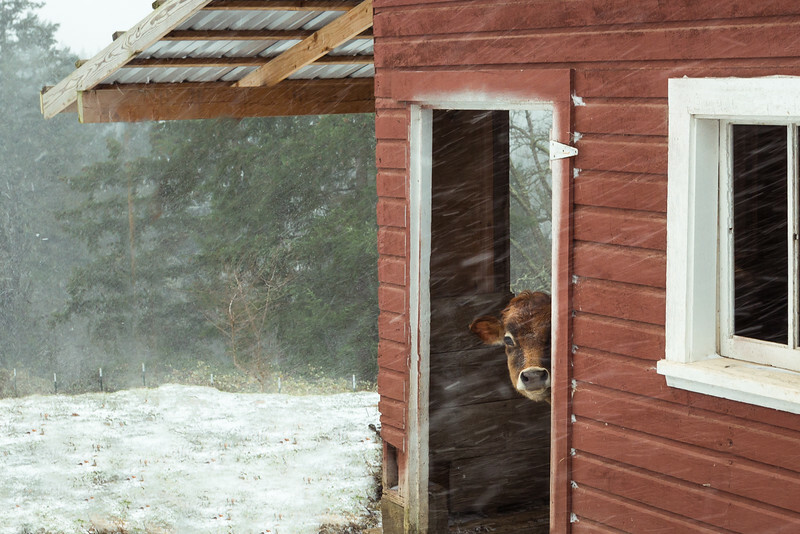 A strong winter storm of 2017 as a cow watches from it's shelter.